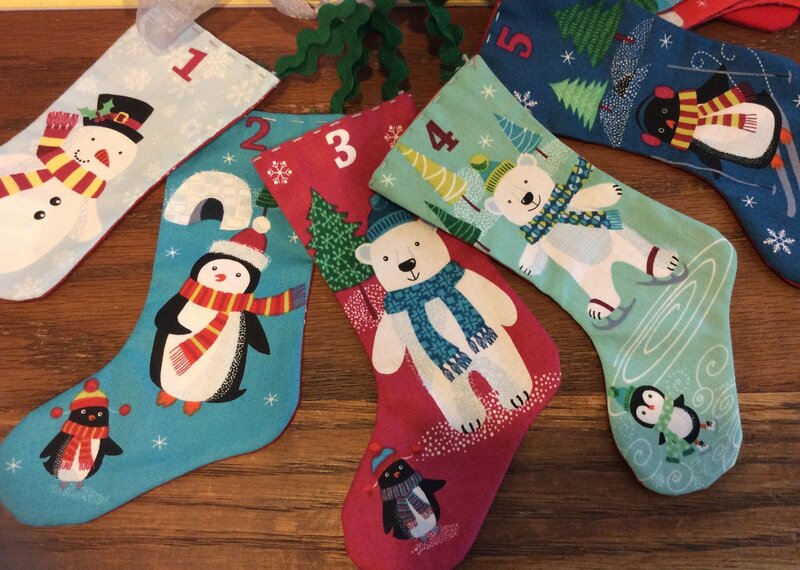 This adorable panel makes 24 stockings to use as an advent calendar. Designed by The Henley Studio for Makower UK, this festive a panel makes 25 small stockings. The colors included are blue, yellow, red, black, white, green and orange.